I have enjoyed exploring Chronicles in 2017. I retired from the financial industry in 2014 and started writing. 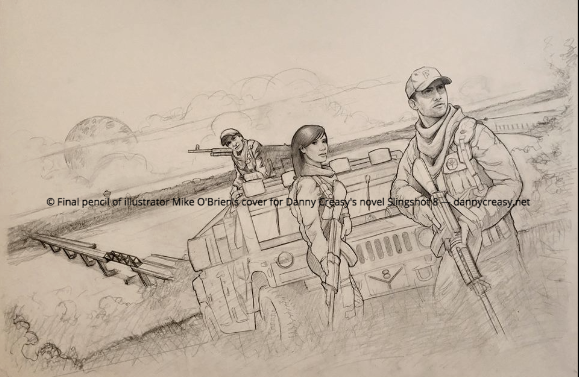 After self-publishing a work of creative non-fiction entitled Jim & Nancy: Two Paths Merged by War, I let my imagination run with a post-apocalyptic series. 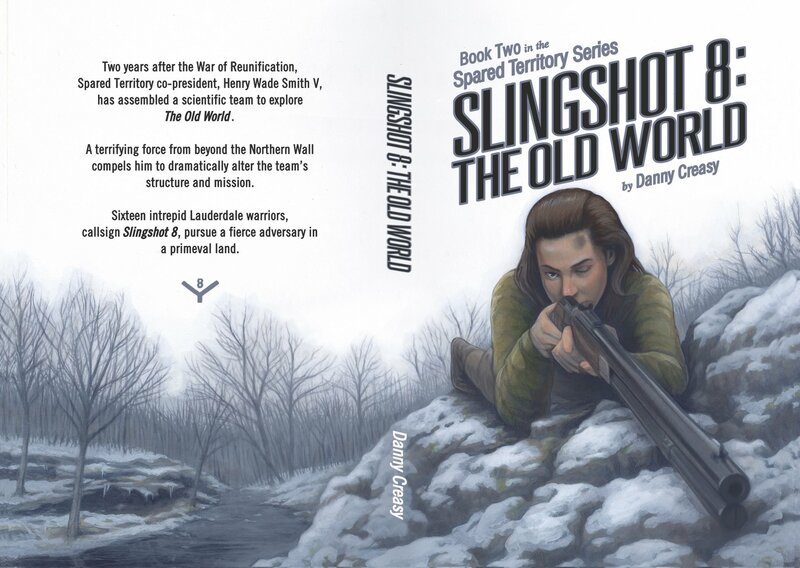 Slingshot 8 and Slingshot 8: The Old World are Books One and Two in my Spared Territory Series. 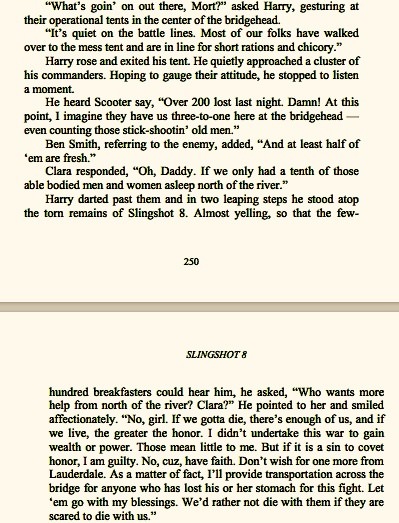 Slingshot 8 is a retelling of Shakespeare's Henry V. Instead of England's young King Harry (Henry V) taking his army across the Channel to defeat a larger French force, I have young Henry Wade Smith V crossing the Tennessee River to make war on the army of Charles Edward Ragland VI. Seventy years earlier the world was ravaged by biowar. 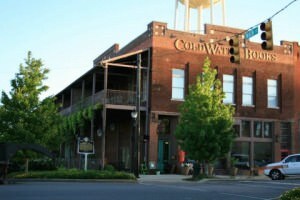 By luck or fate, a few thousand inhabitants of two Alabama counties survive. Initially, they work together, but "the river runs deep" and old rivalries and scarce resources bring the principalities to blows. 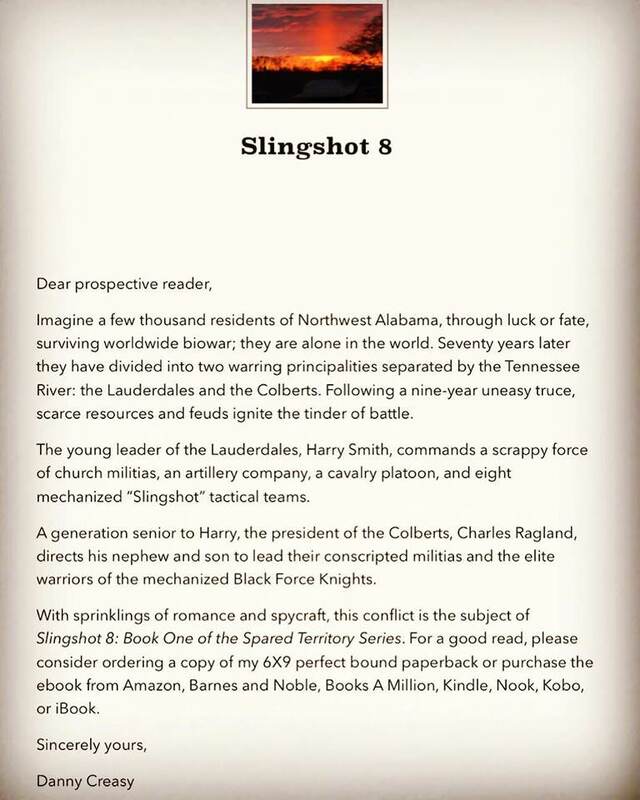 Slingshot 8: The Old World is not a prequel. 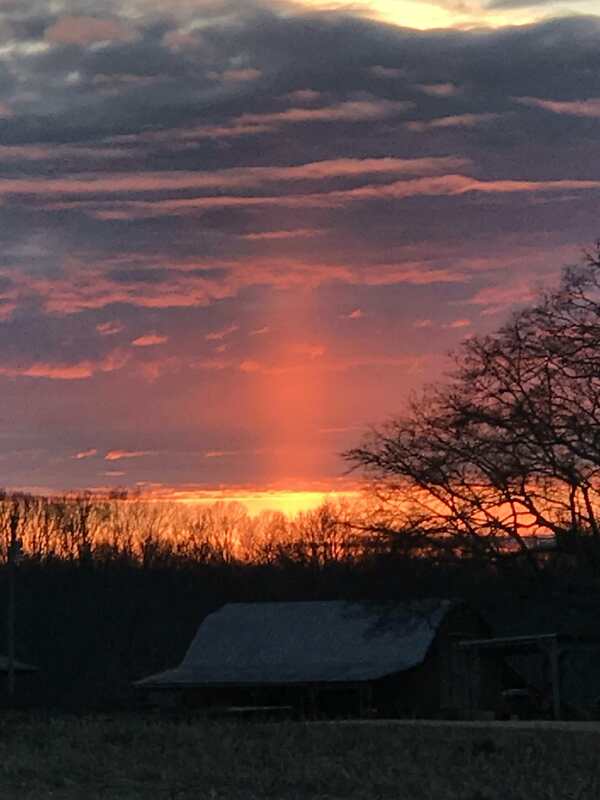 In year 72, a handful of my Spared Territory dwellers are forced to venture beyond their Northwest Alabama walls to face a mysterious threat from "the Old World" (the action takes place on Tennessee's Natchez Trace). I hired an intelligent, patient woman to edit (along with a squad of gracious proofreaders) and engaged that talented Ohio yankee, Mike O'Brien, to illustrate my covers. I published via the services of that honest Florida couple at BookLocker, Richard and Angela Hoy. Filled with the violence of war, mature situations, and a smattering of profanity, these are not kid books. The puritan might be best served to pass on by. Genre? 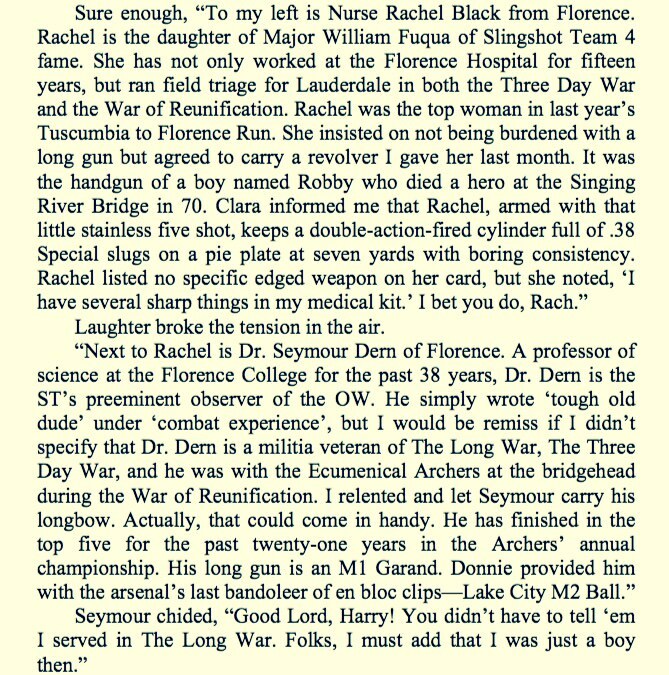 One might say, "Military science fiction." I've hustled, scratched, and cajoled to sell just over a thousand of my three books since 2015. 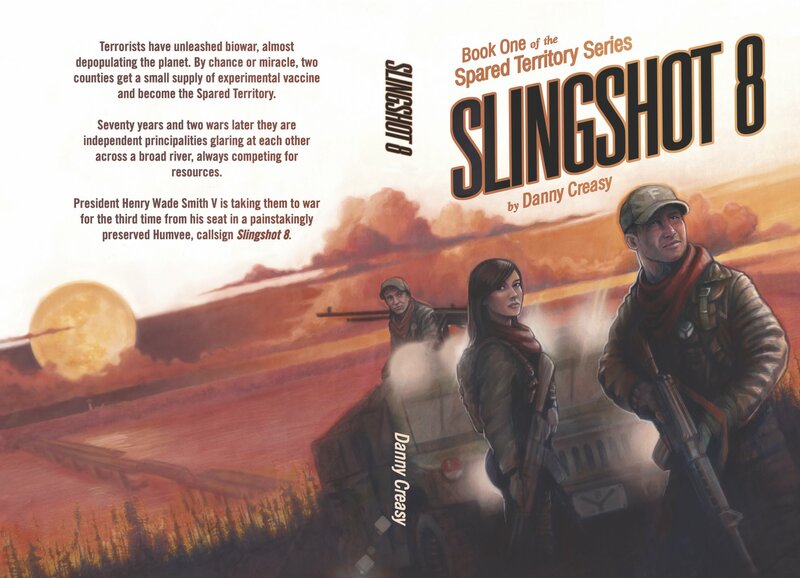 I'm 15,000 words in on Book Three in the Spared Territory Series, Slingshot 8: Colony. 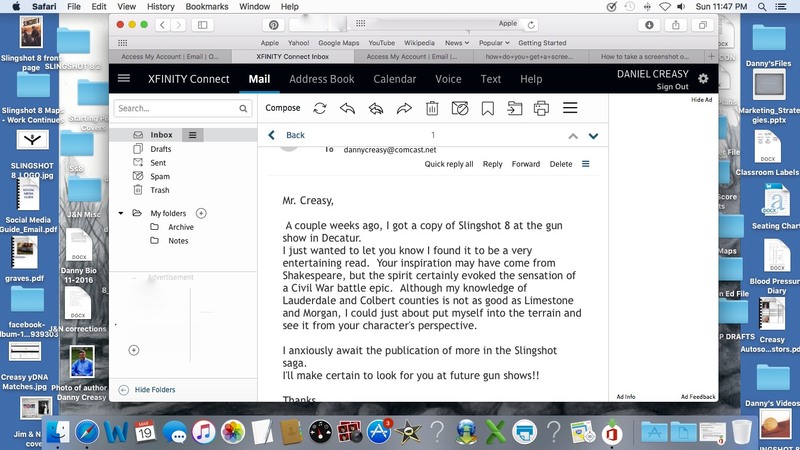 A rough outline has me excited about the dark Book Four entitled Slingshot 8: Scalp Hunters. Thanks again for all the great Chronicles posts. And here's the author pages at Amazon.co.uk and Amazon.com. Just spotted this. Congrats, Danny, on getting it out there. That, in itself, is an outstanding accomplishment. Best of luck with it. Oh, I saw your fan letter and hope you get many more. Good point, pyan. I’ve noticed that before and realize the misstep. I’ve just been lazy about editing it. It’s in so many places: BAM, Amazon, B&N, IBooks, etc. Bit like sweeping up water. Please make the check payable to Two Story House, LLC and include a preferred mailing address. If so desired, note the name(s) to whom the signature can be personalized i.e. Dear Tommy, To Sally, etc. Support your local bookstores! Good ones are dwindling. Ive never heard of this series. It does sound interesting . 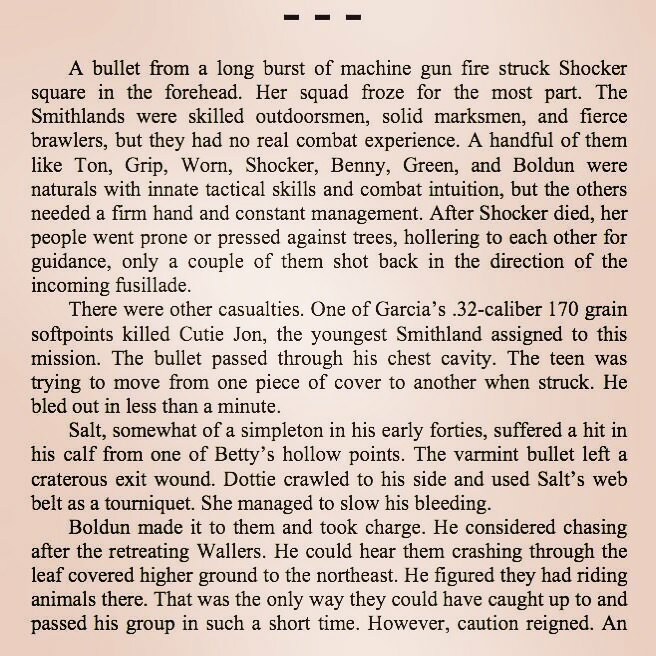 I use mini-chapters or "scenes" to carry the action from one party to another. In Book One (Slingshot 8), the busy battle scenes bounce from rulers, to commanders, to black powder armed infantrymen and artillery batteries, to mechanized tactical teams (few), and to the subject of the excerpt below — a cavalry platoon with its four squads operating in rolls as varied as tactical assault teams, mobile fire support (with crew served machine guns), or reconnaissance. Question: Technology, Technobabble, Handwaving, Disbelief.